In May 2018 the True Green Alliance (TGA) admitted to the world that we knew nothing (or very little) about the Captive Breeding of Lions Industry (CBL) in South Africa; at least, we did not know enough to be able to honestly either condemn the industry or to condone it. We felt compelled, however, to generate some kind of opinion because the subject loomed large on the national landscape and its very presence was having a negative impact on South Africa’s wildlife industry. 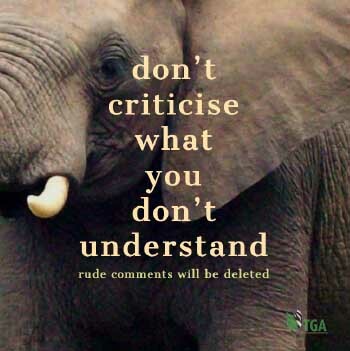 NB: The TGA’s vision is: To create a southern African (ultimately global) society that is properly informed about the principles and practices of wildlife management; that understands the wisdom of, and necessity for, the practice of sustainable utilisation of living resources (both wild and domestic) for the benefit of mankind; that supports animal welfare; and that rejects animal rights – the doctrine of which seeks to abolish all animal uses by man. The TGA has undertaken to honour truth with regard to all aspects of our vision; and to project that truth, as honestly and as transparently as we are able, into the public domain. In order to obtain an objective understanding of the CBL, therefore – during the entire month of June 2018 – TGA Director Elma Britz and I – with the willing help of the Predator Association of South Africa (SAPA) (The parent body of CBL) – conducted an across-the-board inspection of the CBL Industry. We visited lion farming facilities throughout the Free State, North-West and Limpopo provinces of South Africa, and – although we visited only c.40 of the 200 lion farming facilities across the country – we were openly and completely exposed to the industry’s each and every facet. This included all animal husbandry aspects of breeding lions in captivity; the rearing of lion cubs; the hunting of 3-4, 5-6 and 7-plus year-old-lions; and the slaughter of (mainly) 3-year-old lions and the preparation of their skeletons for the Far Eastern lion bone trade. And we had close contact with, and held many very deep discussions with, some of the country’s leading lion farmers. So, by the end of June, we had a good grasp of this industry. We also interviewed several foreign hunters who had come to South Africa to hunt captive-bred lions. None of them claimed to having been duped into believing they would be hunting WILD lions. And all of them praised their PHs and the lion hunting experiences that they had enjoyed. All of them planned to hunt ‘other species’ before they went back home. What we discovered was not all perfect. There is definitely room for improvement in many situations. But, we resolved, there were NO grounds for the TGA to recommend the closure of the Captive Breeding Lion Industry (CBL). Indeed, there was a lot more to commend it than to condemn it – especially with regard to the abundant opportunities CBL offers for transformation; and the TGA believes that rural black communities should be encouraged to become involved in the lion-bone-trade. Indeed, on the TGA’s recommendation, the first of such projects is now underway. And we do not believe there should be ANY bones quota at all. We have asked ourselves: “What purpose does a quota serve?” And we found none. NB: The TGA warns South Africans, and the South African government, that if South Africa does not embrace this CBL opportunity for transformation NOW, some other enterprising African country will start a lion-bone-trade industry of its own; for the benefit of its own rural people! And South Africa will lose out! PHASA (The professional Hunting Association of South Africa) has a proud record that stretches back 40 years and amongst its historical membership list are included the names of many legendary professional hunters. Today – with over a thousand members – PHASA is the biggest professional hunting organisation in the world. And all went well with PHASA until CBL came along. PHASA members openly took their international hunting clients onto CBL hunting farms in South Africa where – in large fenced hunting camps (in excess of 1000 hectares – some as large as 10 000 hectares; covered in natural wild habitats; and stocked with a variety of wild game animals which released lions immediately killed and fed upon) – they hunted captive-bred lions of magnificent trophy-quality. At first – although the experience and the practice of hunting captive-bred lions was strange and new – nobody complained. Then something unexpected happened. The South African lion farmers – with captive-bred lion stocks numbering in excess of 7/8 000 animals – sold 800 trophy-quality lion hunts to international hunting clients in one year (2016). This was a signal measure of the CBL’s success. The costs to a hunting client – depending on the ages of the lions on offer (3-4 year olds; 5-6 year olds; and 7 years-or-older) – varied between US$ 12 000 and US$ 20 000 per hunt. To understand just why this success story caused consternation in the African hunting world, you have to compare these prices with equivalent WILD lion hunts conducted outside South Africa. I am reliably advised that the cost of hunting a (minimum 7 years old) WILD lion, with no guarantees, in countries to the north of South Africa (Zimbabwe; Zambia; Mozambique and Tanzania) varies between US$75 000 and US$ 100 000. So there is no comparison between the cost of hunting a WILD lion in African countries outside South Africa, and the cost of hunting a captive-bred lion inside South Africa. And there are other factors to write into the financial equations. One of the conditions for shooting a WILD lion in Tanzania, for example, is that the client – to be eligible for a WILD lion hunting licence – has to pay for a minimum 21 day hunting safari in Tanzania (at a cost of US$ 2 500 per day). High ‘tipping’ costs for ALL safari camp staff are also prescribed. High air-transport costs – from international airports to the safari camp locations – are obligatory. Another high cost – irrespective of the presence of a qualified South African professional hunter on the safari – is the compulsory additional employment of a Tanzanian-resident and Tanzanian-registered professional hunter. By comparison, a captive-bred lion hunt in South Africa can be conducted within the time frame of 5-7 days. It was not just the lesser cost of the safari that proved to be the added attraction in favour of a South African destination, but its shorter duration, too. Many international hunting clients are big businessmen in foreign lands and they prefer to be away from their businesses for only one week in South Africa, than have to endure a compulsory 21 day safari in Tanzania. From a national point of view all these factors are VERY important. Few hunting clients are satisfied with coming to Africa JUST to ‘bag’ a lion. While they are here they also book safaris on one or more of South Africa’s 10 000 hunting game ranches – where they have a selection of 50 ‘other’ trophy animals to choose from; and each of them could cost the client anything from US$ 5 000 to US$ 50 000 each. Most hunting clients visiting South Africa collect up to 10 other trophies whilst they are here. They also often bring their families on a “South African sight-seeing holiday”. Furthermore, many of these hunters use South African taxidermists to mount their trophies, which brings even more tourist revenue into the country. So the value of that one lion is multiplied many times and in many different ways within the South Africa scenario. But, let’s not forget, if it wasn’t for the main attraction – the ability to hunt a lion – none of these other financial benefits would accrue. These are the kinds of considerations that South Africans should weigh up when they consider the CBL controversy. Now, let’s get back to PHASA. Within PHASA (in 2016) was a group – many of them respected past-presidents of PHASA – who began to agitate against CBL. Their first voiced complaint was that South Africa was supplying “cheap-skate” lion hunting safaris to international clients. This, they contended, down-graded the value of lion hunting within the international hunting safari market. Indeed, I have it on good authority that, at the very beginning of this controversy, they claimed that CBL would – cost wise – compete unfavourably with their own private WILD lion hunting businesses in countries outside South Africa. Their second voiced complaint – introduced almost as an afterthought – was that it was ‘unethical’ to hunt a ’tame’ captive-bred lion. And they contended that PHASA should distance itself from CBL because of this fact (lack of ethics) alone. The majority of PHASA members, however, disagreed. Like the TGA discovered later, they knew that everything was not perfect in CBL – but they were prepared to continue working with SAPA to help remove the bad apples from the barrel. The in-fighting between the pro-CBL members and the anti-CBL members, within PHASA, got very ugly. The anti-CBL members arbitrarily expelled from the organisation those PHASA members that refused to be coerced into condemning CBL. The dispute went to court where it was settled in favour of the pro-CBL lobby. Having failed to close down CBL from within PHASA, the dissent group of anti-CBL professional hunters broke away from PHASA. They created a new professional hunting organisation which they called: “The Custodians for Professional Hunting and Conservation in South Africa” (whom I shall hereafter refer to as “The Custodians”). The original break-away group numbered about 60 outfitters; compared to the residual PHASA membership which currently numbers in excess of 1000. So, PHASA – without the breakaway group – remains the biggest professional hunting association in the world. In pursuance of their desire to close down CBL – immediately upon them escaping from PHASA – the C custodians, who had previously called themselves SAMPEO (South Africa’s Most Professional & Ethical Outfitters) – set about collaborating with one of South Africa’s most active and virulent anti-hunting and anti-sustainable-wildlife-use organisation, an animal rights group called CAT (The Conservation Action Trust) – who were also trying to close down CBL (but for an entirely different reason). At that time, CAT were concluding the making of an anti-CBL film called “BLOOD LIONS”. CAT’s purpose in wanting to close down CBL was in constant pursuance of their general animal rights doctrine which is to ABOLISH ALL ANIMAL USES BY MAN – to which end they would brook no consideration of any other ‘interfering’ circumstance. The Custodians purpose, on the other hand, was to close down CBL (ostensibly, as their anti-CBL motive developed) because, they said, it was ‘unethical’ to hunt a ‘tame’ man-conditioned lion that had been specifically ‘bred-to-be-hunted’. They also objected, so one of the custodians told me, because the hunting of captive-bred lions could only be carried out by way what they call ‘put-and-take’ hunting – of which (so my informant told me) the custodians particularly disapproved. Nevertheless, despite their many ideological differences, the custodians and CAT joined forces in pursuit of their ONE new-found common cause – the destruction of CBL. And the custodians agreed to be recorded on the CAT’S (animal rights’ propaganda) ‘BLOOD LIONS’ film – making it known that the custodians were in agreement with CAT, that CBL should be closed down. NB: I wish to emphasise the fact that in their collaboration with CAT, the custodians demonstrated their absolute determination to close down CBL by any means – seemingly, fair or foul; and, for a long time, I couldn’t at all understand the vehemence with which the custodians pursued this goal. My comprehension of the custodians’ apparent real purpose in wanting to close down CBL only dawned on me when their personal vested interests in hunting WILD lions outside South Africa had been explained to me by people who were ‘in the know’; and that happened only several months after my ‘Searching for the Truth’ report was made public. I am authoritatively informed that, prior to the PHASA break-up, individual members of both sides of this dispute, had hunted captive-bred lions in South Africa without any compunction. After the break-up, however, only the custodians refused to openly support the hunting of captive-bred lions. 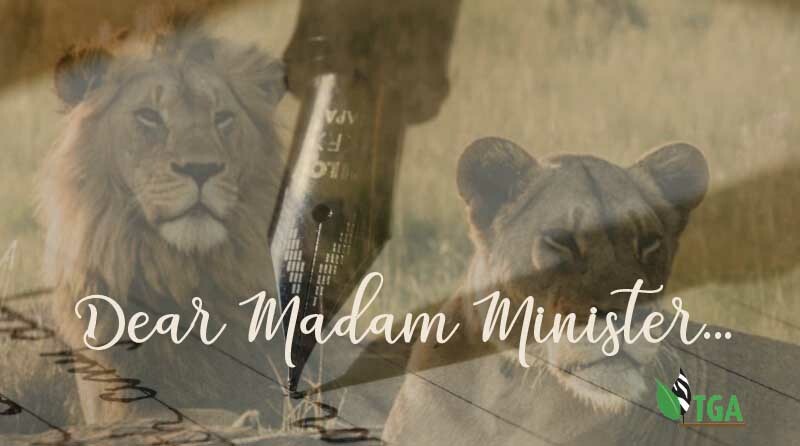 Indeed, one custodian – a well-known past president of PHASA – provided SAPA with a written and complimentary report after he had succeeded in hunting a captive-bred lion. In this report he stated that the practice of hunting CBL lions “had potential” (or words to that effect). When the divorce was complete, the custodians issued a public statement to the effect that of all the professional hunters operating in South Africa, it was only the Custodians who hunted ‘ethically’. And I was astounded by its arrogance! NB: One of the reasons why I wanted to conduct the CBL survey – that led to my “Truth Report” – was to determine just exactly WHY the custodians had split PHASA asunder. I knew people on both sides of the fence and I was genuinely dismayed by this result. In large measure, I felt that my whole world had taken a giant backward step in time. And I KNEW that the whole truth had not been revealed to me. For a short time, I wooed the custodians to determine just what it was they were not telling me, but all to no avail. All that happened was I was castigated for ‘telling the truth’ – and the custodians made no bones about the fact that they had expected me to side with THEM – that I would condemn CBL – irrespective of what my findings might be. Several custodians have, since then, told me that my ‘Truth Report’ had utterly destroyed what was, up till then, my ‘fine life-accomplishment reputation’. During this phase of our engagement, I told the Custodians that I KNEW I wasn’t being told ‘the whole truth’ about the PHASA split up, and I asked them: IF I sent them a list of questions would they provide me with honest answers to them? That was a long time ago; and I have received no response. At the time of our discussions, several custodians made it very plain to me that they considered themselves to be ‘more ethical’ than any other of South Africa’s PHs because they refused to shoot captive-bred lions – ‘tame’ animals, they called them, that had been especially ‘bred to be hunted’. This is a ‘holier than thou’ attitude to which many other licensed PH’s do not subscribe. NB: My own feelings on the subject of ethical lion hunting is this! In South Africa, hunting lions is only allowed by way of the ‘walk-and-stalk’ method. That means all hunting has to be carried out by way of the hunter following the lion’s tracks on foot; at which time, throughout the tracking procedure, the hunter is constantly exposed to lion’s ferocity should it ever object to being tenaciously followed (which is the ONLY way the hunter is going find and kill his quarry). Hunting lions over a bait, from a hide – as is practiced in Tanzania and elsewhere – is not allowed in South Africa. I sincerely believe, however, that the South African walk-and-stalk method of hunting a lion is far more ethical than shooting a lion from a hide over a bait – the ‘bait’ being the opened carcass of an animal that has been dragged for several kilometres behind a vehicle (which leaves a scent trail on the ground for the lion to follow), to a selected position in the fork of a tree. Once the lion is coming to the bait, the hunter sits on a chair inside a small screened ‘hide’ (bush-enclosed shelter) nearby, and there he waits for the lion to visit (and to feed off) the bait. The hunter then shoots the lion from his chair, over a dead-rest bench (or fixed pole) in front of him, inside his ‘hide’, at a range of some 50 metres. The hunter can’t miss his target at such a range, and the lion represents no real threat to the hunter’s person! So, I must ask whoever reads this dissertation, which of these two hunting methods he considers to be ‘the most ethical’. In this respect, therefore, the concept of what is ‘ethical’ and what is ‘not ethical’ is very much in the eye of the beholder! The custodians went on to explain to me that in South Africa, today, species like kudu, sable, roan and buffalo, are bred to ‘trophy-size’ then released onto a game ranch to be pursued and killed by a high-fee-paying hunter. This, the custodians call, ‘put-and-hunting’ – which they denounce with great fervour: ‘Put’ an animal on a game ranch; have it ‘taken’ (shot) for a high fee; and then replaced with another animal of equivalent size (created by a game breeder for our game ranchers), THAT doesn’t leave ‘me’ with a good feeling, either! I actually agree with the custodians to a VERY great extent, therefore, because THAT is not ‘my kind of hunting’. However, hunting practices during my 60 year-long hunting career have, all the time, been evolving in concert with constantly changing circumstances in both the natural and the human environment – to the extent that my ‘personal preference’ hunting practices are, today, absolutely no longer applicable. So, I believe that professional hunters who are trying to perpetuate the hunting myths of yesteryear – to recreate the colonial period hunting paradise – to duplicate the adventures of Roosevelt, Hemmingway, Ruark and Selous – which took place when Africa was still truly wild – are actually chasing moonbeams. Those days are now long gone – never to return. Modern day hunters, therefore, have to take what they can get – mostly facsimiles of the real thing – souped-up adventures designed to emulate an Africa that “used to be”. And it is the PH’s job to make their clients ‘feel’ that what they are experiencing is the real McCoy. THIS is exactly where I place CBL lion hunting – right in the middle of the African hunting myth. CBL lion hunting may not be 100 percent authentic but it is as near to the real thing as any modern-day hunter is ever likely to get. And so – based on this philosophy – I raise no objection to the principle of CBL lion hunting. The reality of South Africa today and the reality of what Africa-as-a-whole is going to become in the not-so-far-away years ahead – when, by the year 2100, the human population will be six times larger than it is today – is also a factor to consider. By 2100 there will be no truly wild places left in the whole of Africa; and there will be no WILD lions at all left to hunt. In South Africa today, wild animals outside the national parks and wildlife estate, can only exist on private land inside ‘adequately fenced enclosures’ – wherein all animals are actually being ‘bred-to-be-hunted’. So, they are all, one way or another, ‘put and take’ quarry for hunters. So, all those PHs who believe anything otherwise, should crawl out of their fantasy worlds and get their feet back onto terra firma. Shakespeare coined the phrase: ‘The Truth Will Out’ – meaning you can’t suppress the truth forever. And here I am using the phrase in the context of the CBL controversy. Since my ‘truth report’ was made public, I have been inundated with stories from a great many licensed PHs who have been intent upon enlightening me concerning the ‘real reasons’ why the custodians split with PHASA; and what I have been told makes complete sense. It appears that, over the years, many of South Africa’s PHASA PHs – those who are now custodians – developed extensive professional lion hunting businesses in countries outside South Africa: in Tanzania; in Zambia; in Zimbabwe and in Mozambique. They did this because South Africa can offer fewer than 10 WILD lions for safari hunting purposes every year; and 10 WILD lions is not enough to sustain these PHs business ambitions. Apparently, Tanzania has become a favourite venue where South African PHs are able to hunt wild lions in reasonable numbers. I don’t actually know what kind of remuneration South Africa’s PHs obtain from their safari hunting business interests in Tanzania (and elsewhere). It is probably safe to say, however, that their annual (WILD lion hunting) income is derived from the numbers of lion hunts they are able to conduct, multiplied by a “certain percentage” of the cost of each hunt. On this basis, the income they received from the sale of each US$ 100 000 WILD lion hunt in Tanzania, is infinitely more (calculated on the same percentage basis) than they could expect to obtain from a US$ 20 000 captive-bred lion hunt in South Africa. And I have been led to believe that THIS FACT is the crux of the CBL controversy. When South Africa sold its 800 CBL lion hunts in 2016, they were quickly snapped up by the international hunting community. In effect, South Africa flooded the market. The South African CBL lion hunts completely out-competed every other African country that was selling WILD lion hunts at that time. At that time – when the bombshell dropped – nobody even thought about, or mentioned, the word ‘ethics’. Indeed, the problem was far more profound. On purely its business foundation, CBL had become far too successful and it threatened the WILD lion hunting industry outside South Africa. The hunter clients (the ‘market place’) determined that conventional WILD lion hunts were too expensive; and that the compulsory 21 day hunting safari was far too long. For those PHs/Outfitters who couldn’t sell their WILD lion hunts that year (in Tanzania and elsewhere) the impact on their bank accounts was, I am told, catastrophic. One didn’t have to be a rocket scientist to determine the reason for the collapse of the WILD lion hunting businesses in Tanzania (and elsewhere) that year. Pure and simple, it was the emergence of a new, very large and very much cheaper source of very huntable and handsome CBL lion trophies in South Africa; combined with a much shorter period of time on safari. In a nutshell, the reason was the emergence of CBL as a very able competitor in the international trophy-lion-hunting market. And it didn’t take the PHs/Outfitters of PHASA – those who became the custodians – very long to determine a solution to their problem. And their solution was very simple. Close down CBL! If CBL could be eliminated from their equation, it would soon become ‘business as usual’ in Tanzania’s WILD lion hunting enterprises (and elsewhere). Consider: Doesn’t this explanation contain a high degree of ‘probability’ – a ‘ring of truth’? The ‘Cecil the Lion’ debacle – a distorted animal rights propaganda fabrication – had occurred in 2015 and it provided the foundation for the custodian’s campaign to close down CBL. Following the Cecil the Lion controversy, the entire international animal rights fraternity was well and truly primed to take their slick propaganda campaign further. And CBL was right in their sights. Indeed, in 2016 the animal rightists were on the rampage – looking for a sequel to ‘the Cecil story’. They wanted to keep the emotional pot boiling. The existence of CBL – and the fact of the custodians split from PHASA over the CBL issue – was all the animal rightists needed to get the fire burning again. CAT had started promoting the “BLOOD LIONS” film. So, when the custodians failed to get PHASA to condemn CBL, they teamed up with CAT to pursue their common goal. Among other things they did, the custodians persuaded all PHASA’s long term and faithful benefactors to withdraw their financial and/or moral support from PHASA: Safari Club International; Dallas Safari Club; Big Sheep Foundation; CIC (in Europe); the US Fish and Wildlife Service; and others. And those who had once donated to PHASA diverted their funds to the custodians. The custodians remained on their bandwagon – that it was ‘unethical’ to hunt man-conditioned CBL lions. They claimed it was unethical because the CBL lions had been ‘bred-to-be-hunted’ And, they said, CBL lions were animals that could only be hunted by the ‘unethical’ method of ‘put-and-take’. So the custodians, on all counts, positioned themselves on the ‘high road’; and PHASA had to content itself on the ‘low road’. NB: There are a great many PHs who have told me – unequivocally – that some custodians still (to this day) hunt CBL lions; they still hunt captive-bred buffaloes, sable, and roan antelopes on securely fenced South African game ranches – all of which are animals that have been ‘bred for hunting’. Indeed, most PHs will hunt ‘anything and everything that they can sell legally’ Furthermore, when they are in the field hunting with a client, many PHs don’t even pay even lip-service to their opposition to ‘put and take hunting’. And, according to their reluctant peers, the custodians even advertise-for-sale the availability of trophy animals with specifically measured horn-lengths. It is no wonder that many PHs in South Africa are now calling the custodians ‘hypocrites’. SAPA, however, contend that the custodians cannot be ‘blamed for everything’. SAPA blames the American hunters for a great deal of the furore, too. The American hunters, SAPA says, have demanded no more than 10 day-long safaris which might include one lion, one buffalo, one sable and one roan antelope; so that they can spend the last five days of their South African holiday at Sun City – gambling. Clearly fewer and fewer overseas hunters come to Africa to experience ‘the mythical hunting paradise’ that this continent used to be. They come to Africa today to hunt and to take advantage of ‘what is’ – not what ‘used to be’. So, maybe South African PHs/Outfitters should learn to read their overseas’ hunters’ signals better! I don’t think there is any doubt, however, that the custodians – in trying to resolve their own self-interest financial problems – and consequent upon their partnership with CAT – intensified and supported the animal rightists’ focus on the imagined iniquities of CBL lion hunting. They also ganged up, together with the CAT, at the October 2018 Parliamentary Colloquium on the CBL in Cape Town, to condemn CBL. I attended that colloquium and, as a writer, I recognised immediately that the official report on the colloquium was not written by a South African parliamentarian. It was written by one of the many animal rightist NGOs who had been invited to the meeting. And the report is far from being accurate. It belabours the point, for example, that CBL has damaged ‘Brand South Africa’ very badly. At the colloquium, for example, Dr Petrus de Kock (General Manager: Research for Brand South Africa) informed everyone present at the colloquium that CBL had had no impact at all on “Brand South Africa”. And he made a comment to the effect that: “It would take a lot more than matters such as the CBL to adversely affect South Africa’s reputation overseas”. NB: Another issue that the animal rightists have belaboured is their contention that CLB is a threat to WILD lion populations. Nothing could be further from the truth. CBL lions are purposefully NOT integrated with any WILD lion population. CBL lions represent an island population that has nothing whatsoever to do with any wild lions. This is one of many red-herring assertions (lies) put out by the animal rightists to denounce CBL. They are WRONG! We must take cognizance of the fact that many other countries “captive-breed animals for hunting” – including the United States (many species – both indigenous and exotic); Great Britain (50 million pheasants a year; 10 million red-legged partridges a year); Argentina (cougars also called Mountain Lions); and many more countries breed fish by the millions in hatcheries (e.g. trout and black bass) for release into rivers and lakes for anglers to catch – and/or for commercial food production. For wildlife agencies and hunter groups to arbitrarily select South Africa for condemnation, therefore, because we breed lions for hunting, and because we breed lions for the lion bone trade, is highly discriminatory. When countries all over the world are breeding animals and game birds for hunting, and fish for the angler, to forbid South Africa the right to breed lions for hunting, and/or for the lion bone trade – on the animal rightists ‘personal preference’ demand – is grossly unfair. It is also a double standard that will never be upheld in a court of law. There is no international law prohibiting the breeding of any common animal for hunting, or for other commercial purposes, so what makes South Africa so special, and so different, in this regard. If other countries can do it, why can’t South Africa? CONCLUSION: The TGA has no axe to grind in this controversy. We are not a member of SAPA. We are not safari outfitters or professional hunters. We own no game ranch or any wild animal. We have no business interest in the CBL controversy. What we want to see happen is an honest resolution to this unfortunate debate in the best interests of South Africa’s wildlife and South Africa’s people – especially our rural communities. And we believe that that can only happen if everybody looks at the CBL controversy in a transparent and truthful manner. We actively work towards destroying the credibility of the animal rights – which is based on their determination to abolish all animal ‘uses’ by man. We believe that the custodians have been the single most persuasive group of protagonists demanding the closure of CBL. We believe, however, that they have had had a vested and personal interest in doing so – which invalidates all their other philosophical arguments. All the evidence outlined in this report points towards this fact. And the conversation within the professional hunting world, in this regard, is adamant. The custodians’ personal interests in closing down the CBL Industry, therefore, have superseded what would, in our opinion, be the best solution for South Africa. And the TGA condemns – outright – the custodian’s public (even boastful) collaboration with animal rights groups (anywhere). We believe that by so openly collaborating with major animal rights organisations (not just CAT), and high-profile animal rights individuals, has done the hunting community, world-wide – and South Africa – no favours at all. The TGA appeals to those organisations that have favoured the custodians in the recent past – respected international hunting organisations – that cast aside PHASA when the custodians decided to destroy CBL. The TGA appeals to them to reconsider their positions in the light of all the foregoing – ALL THE FOREGOING – and in the light of the TGA’s ‘Searching for the Truth’ report (which is attached hereto). Long standing members (and life members) of SCI, especially, are deeply aggrieved by the fact that when SCI-HQ decided to “go with the opinions of the custodians, and to abandon PHASA, over the CBL issue” that they were not consulted in any way at all. The CBL controversy is not going to go away easily; and the sooner it is resolved the better for all parties concerned. The TGA, therefore, appeals to all parties to settle down and to resolve this matter “our” way – realistically – and not in the manner being prescribed by our joint eternal enemy, the animal rights movement. I direct this paragraph particularly, therefore, to Safari Club International; to the Dallas Safari Club; to the Big Sheep Foundation; to the US Fish and Wildlife Service; to the International Wildlife Conservation Council (US Department of the Interior); and to the International Council for Game and Wildlife Conservation (CIC – in Europe). NB: I am told that the hunting of Argentina’s captive-bred cougars (mountain lions) is annually and openly advertised during SCI’s and DSC’s hunting conventions every year. If this is true (and I don’t doubt that it is) how can SCI and DSC condemn captive-bred hunting in South Africa? If it IS true, that would mean SCI and DSC, particularly, support a blatant double standard. Finally, the TGA believes the CBL as a business venture has great potential in South Africa; that there is no earthly reason why CBL lions should not be hunted; there is no reason why South Africa should not be involved in the supply of lion skeletons to the Far Eastern Lion Bone Trade; and there is every reason to encourage rural South African communities to become involved in the CBL Industry – especially with regards to providing skeletons for the Lion Bone Trade. We also believe there is no reason to apply quotas of any kind in the Lion Bone Trade. Lion bone quotas only inhibit international trade – when South Africa should be encouraging it! RECOMMENDATION: I would recommend that South Africa investigate the CBL Industry – thoroughly – with a view to confirming many of the unusual ‘truths’ implied in this dissertation – and to make decisions based on those truths; and to disregard the animal rightists own stated objectives in becoming entangled in this debate. The TGA stands its ground and is prepared to assist the Minister in uncovering this truth. We have, for example, a prepared scientific breakdown of the animal rights doctrine. A good place to start would be to determine the nature of this doctrine. The TGA can provide you with a full explanation with regards to what their purpose-in-life really is.